Jillian Michaels puts Hollywood home up for sale! The Biggest Loser star Jillian Michaels made the jump from being in a couple to family of four in just a week last year. So it’s no wonder the personal trainer needs a bigger house to accommodate her growing family. 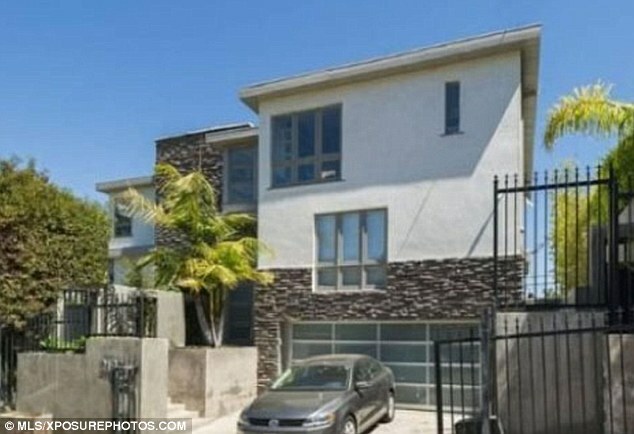 The brunette and partner Heidi Rhodes, who gave birth to son Phoenix a week before they adopted Lukensia from Haiti last spring, are selling their Hollywood Hills home for $2.45million. Jillian, 39, bought the three bedroom, four bathroom home in 2008 for $1.56milion. She actually player a part in designing the home, which includes a master bedroom suite with walk-in closet and en-suite bathroom with tub and steam shower. The house includes two further bedrooms – one for the children, with the second being used as an office. The modern house is located in a gated community and includes incredible views of Los Angeles. Last July, the couple were left shaken when the house was burgled in the middle of the night. Thieves took her Bentley after finding the keys in the house. Meanwhile, Jillian recently admitted she was finding it hard to juggle her job and parenting Phoenix and Lukensia. She told Fitness magazine: ‘I get up at 7 am – after being up all night with the baby – and run around trying to get both kids diaper-changed, dressed and fed.